One of the best things about being Japanese-American is New Years. Food-wise, it trumps both Thanksgiving and Christmas. 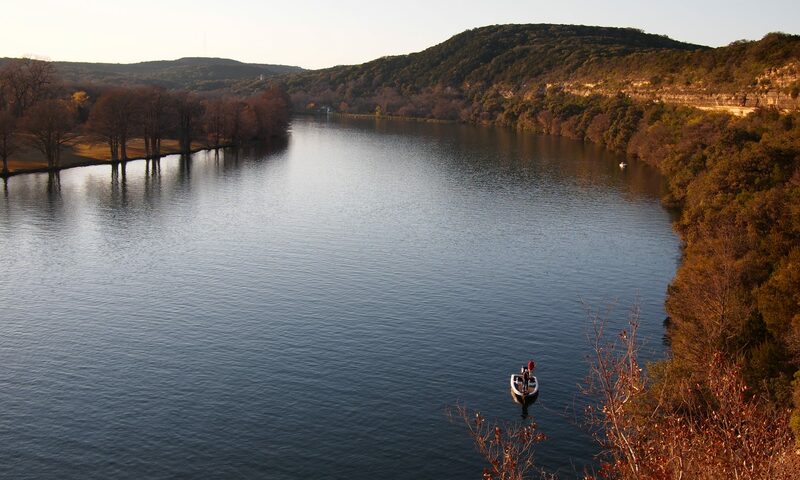 There’s absolutely nothing like it in my book. In heaven, I’m going to sit at the table with the Japanese New Years food. 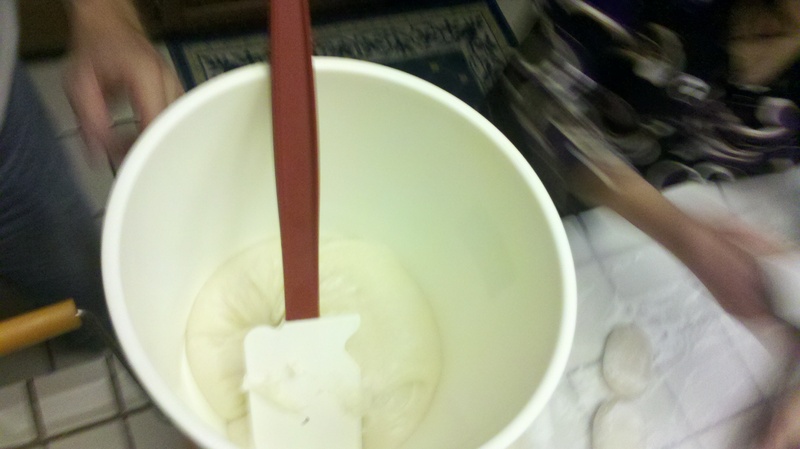 But the absolute BEST FOOD at New Years is none other than… mochi! 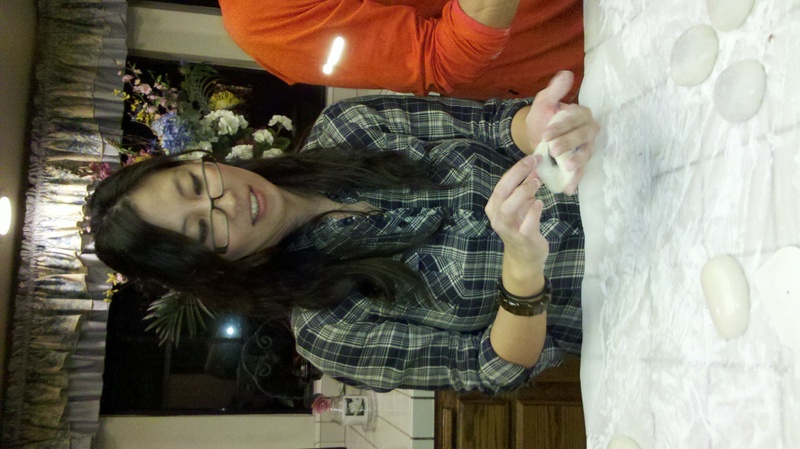 I grew up making mochi around New Years with the Ashimoto family. My grandma would take the hot loaf of sweet rice out of the machine (no wooden mallets for us), and by hand, squeeze and twist little lumps of dough on wax paper covered in mochiko flour. It was too hot for anyone else to touch except grandma, with her old, leathery hands (One time, my uncle Bob tried to catch the molten loaf as it was about to drop on the floor and got severe burns all over his hand). The rest of the family would then proceed to fill each lump of dough with anko, and more recently, with peanut butter. We’d then shape each lump to look as round and perfect as possible. Grandma wanted every mochi to look exactly the same. 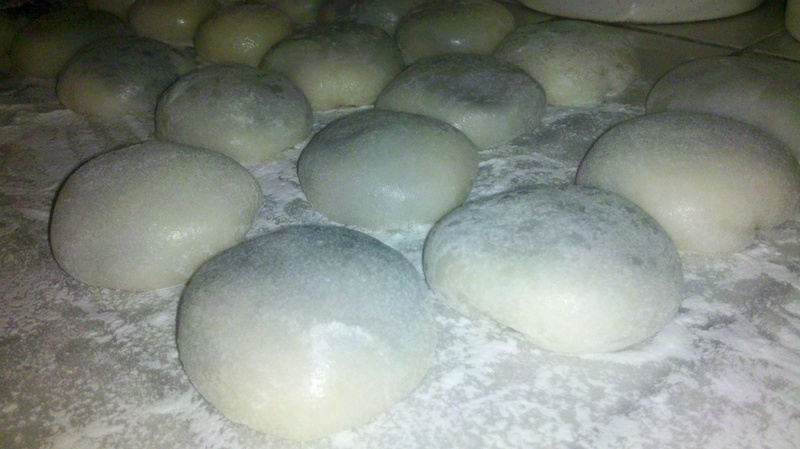 The plain mochi (w/o anko) would be covered in kinako or dipped in a mixture of shoyu and sugar. Mmmm. My grandpa on my mom’s side always liked to fry the mochi in a pan until it developed a crisp brown crust, and then watch it get so hot that it burst in the middle, spewing molten sweet rice out of the top. 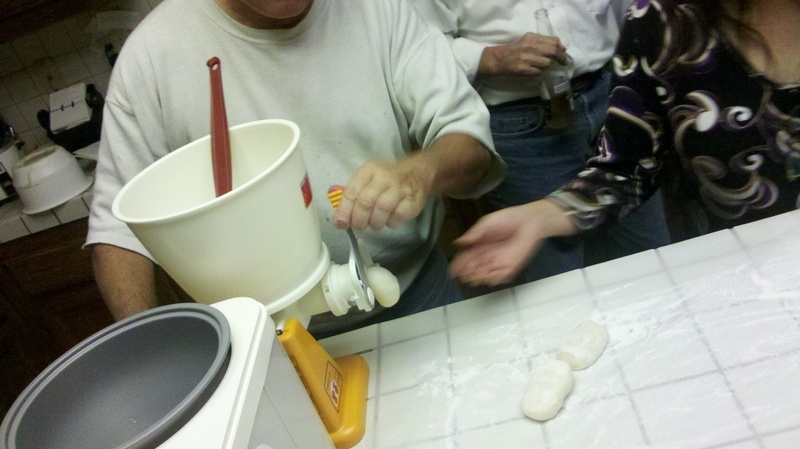 My uncle Ken working the mochi-cutter. He worked hard making all the mochi loafs. We were too weak-sauce to touch the loaf to cut it like my grandma used to. WAY too hot. This is what the loaf looks like inside the cutting machine. We'd take the loaf out of the mochi maker (which cooked and kneaded the sweet rice), then put it in here. My job was to scoop the loaf in here and cut it into equal pieces. 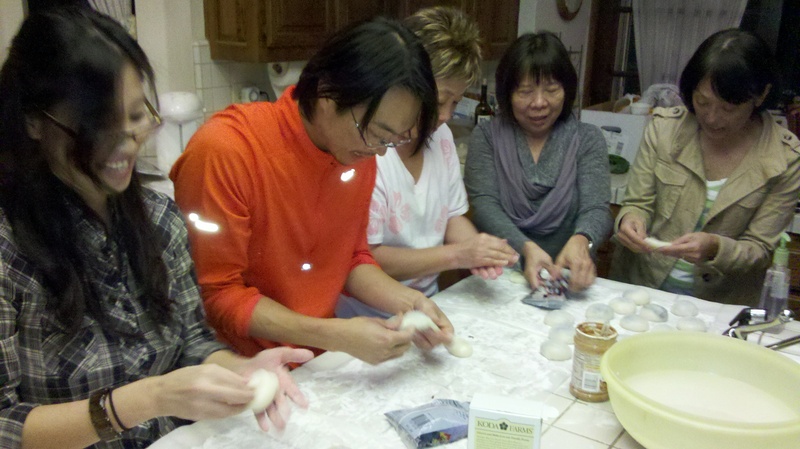 The rest of the family (and friends) making mochi. We had a little production shop in my auntie Donna's kitchen. The finished product. Homemade mochi is way better than store-bought. It's slightly more firm, and tastes more "pure", if you know what I mean. There are no preservatives, so the mochi gets moldy if you don't put it in the fridge/freezer... but it's better for you - just rice and anko. It's definitely the best the day you make it, so I ate like 5 or 6 that night. haha. The rest I put on ice... to be reheated and eaten with shoyu and sugar at a later time! i loved making mochi!! yum. oh man. i want some. please. WHAT. you make homemade mochi!??!?!?!?! MARVELOUS! i want! Previous PostPrevious White Elephant Whiskey and Rudolph the Red Nosed Rooster!